Dealing with a parent's divorce can be very scary for young children. People marry expecting happily ever after, but in many cases the fairy tale gives way to the difficult reality of divorce. Divorce is hard enough on the couple involved. Throw in the divorcing couple's young children and you have a recipe for misery, especially for the kids. Young children have a hard time understanding why parents will no longer be together. Their belief in their own security and their place in the family is shaken. Take care with how you break the news, and tailor it to your children's ability to understand. Reassure young children first and foremost that they are loved and wanted and that will never change. At times, when young children sees mommy or daddy moving out, they fear that you will stop loving them and they will have to leave the home too. Tell them how much you love them and that a child stays in the family forever. Explain the changes that are happening in terms they can understand. Don't just tell them mommy and daddy are divorcing. That is not usually a term they are able to define at their young age. Exactly what terms and words you use depends on your children. You know your own children and their ability level when it comes to which language you use. Do not talk in such a way that makes your children feel they have to choose sides. Do not ask them what they have heard the other parent say, what they have seen the other parent do or who their favorite parent is. Ask your young children to tell you how they feel. Children don't always speak up themselves, yet bottling up their emotions in such a serious life change could be damaging. Encourage their questions. Listen to their fears no matter how silly they might seem. Do the best you can to help them through the fears they have. Reaffirm that neither parent is rejecting them. Explain any coming changes such as a move, or perhaps a change in their child care situation. Be as direct as you can according to age level. If possible, both parents should speak to the children together. This gives children the security that both parents are making their feelings a priority. Never lie to your young children about anything involved with your divorce. They will lose faith in trusting what you are saying in the future if you do. 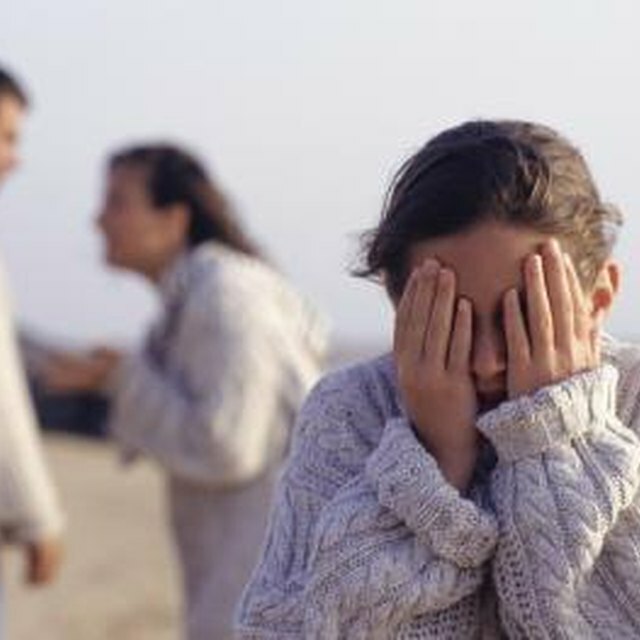 Helpguide.org; Helping Your Kids Cope With The Effects Of Separation And Divorce. Connie Whiting has been a professional writer since 1999. She is published in Red Rock Press Anthologies and "Legacy" magazine. She is also an experienced food column writer. Past positions include certified dental assistant and virtual assistant for “Your Invisible Assistant” a service focused on travel arrangements and media writing. Currently, Connie writes for Demand Studios while pursuing an Associate of Arts. How do I Tell the Kids About Separation and Divorce?